My wife often jokes with me about how childlike I can be. Usually she comments when something stops me in my tracks and I am suddenly spellbound. She thinks my sense of wonder is pretty cute, and I’m almost certain that is a compliment. I confess I choose to take it as one. I also cannot deny it. In spite of all I’ve seen, the work I do and my life experiences, I am naïve. I live in relatively constant amazement. As hard as life is, I find life and living incredibly cool. Nature completely captivates me. Life: mine, yours, a flower’s, does as well. I can be paralyzed by a quote, completely and utterly spellbound. It will resonate, percolate and circulate for some time. Just be careful, I’ve been known to quote folks I know “in real life” ten or twenty years after they say something. Most often, they don’t remember saying it. Yet for me, one sentence can transform. Paused and replayed… paused and replayed. It hasn’t left me. You see, I pay a lot of attention to the me that’s wounded; so much so that thinking part of me isn’t brought me to play the sentence over and over. I’m embarrassed by this, but I don’t think I’m alone. 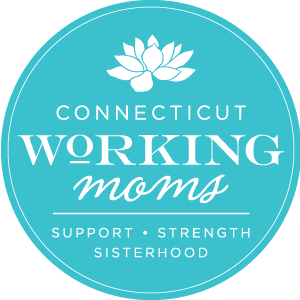 As an example, in early March, CTWorkingMoms partnered with the Bump and re-launched this incredible Judgment Free Motherhood Campaign via #Moms4Moms day. The message has been beautiful, powerful and so important; and our team of bloggers have truly modeled exposing ourselves and our imperfections, flaws, mistakes, confessions and shortcomings to show that we- you and us- are not alone in being beautifully imperfect. I admire and respect the campaign and I am right in there, flaws and vulnerabilities. Yet, I am not broken. You are not broken. While there are parts of me that are wounded, deeply and profoundly, and while that impacts my parenting and the rest of my world in some way each day, it is not all of me. My momfessions are a piece of me. The buttons/triggers my kids find in 2.5 seconds are another. Yet, there is also a part of me that is not broken, not wounded, not healing, and not falling short. I am also splendid, powerful, sincere, heartfelt, passionate, loving, strategic, playful, and “all in.” In our efforts to bond with each other in our shortcomings and imperfections, I want to also call us to shine brightly. It takes just as much courage to bare our strengths as it does our failings. This week, what’s one thing you can do to “pay attention to the you who isn’t wounded?” For me, its sinking in to that childlike part of me my family sees, my sense of wonder and amazement, perhaps the most whole-hearted part of me. Very strong and wonderful message. Now, off to ponder this message and let it seep in. Thank you. Beautiful, Sharlene! I need to pick up one of Geneen Roth’s books!! If you want to I would suggest going straight to “Women, God and Food”. She develops a good writing style by then that is enjoyable and still recaptures the key parts of her earlier work. This is so so good. You are amazing. Thank you. This is so wonderful Sharlene. Your posts help so many people, I just know it (me included). Yup. I’m really glad that I read this. Thank you. You couldn’t be more right about how important it is to own what we’re proud of. I teach this to clients on a daily basis, yet can struggle with it for myself. I learned something from one of Geneen Roth’s books that changed my life. She wrote me that one has to go THROUGH something painful in order to overcome it. So old painful experiences that we all try to avoid thinking about end up controlling US. Once we get the courage to go through it, no matter how many years later, and feel the pain that the rejected child felt (or that bereaved child or that bullied teenager), then we can put it in perspective and deal with it as an adult. This, to me, is what therapy is all about it. A good therapist holds your hand as you go through the bad event and shows you that feeling that terrible pain WILL NOT kill you. This is something I share with people a lot, especially people who really think that feeling that pain will kill them, and as a result, they end up feeling nothing, because that mental filter is not so refined that it can screen out only the scary feelings. It screens out ALL feelings. Thanks for the great post, Sharlene. Randi, good question. I still am, and I see her most often when I am playing, which usually is inspired by my wife and kids. In play, my doubts and insecurities are suspended. I am whole, and wholly theirs. That, good therapy, and a desire to believe in my own worth and goodness have paved the way. The rest is practicing.